Your little one has just arrived! One of the most adorable sights that behold you is those tiny little beady eyes moving and glancing around the surroundings. You wonder what he sees and if babies can see exactly the way adults do. It is quite a curiosity that most parents have, and we are out to answer that. While a baby’s eyes are underdeveloped, color vision is present at birth. His vision will develop through a series of gradual advancements. In this MomJunction post, we guide you through the various vision developmental milestones in your little one’s life. Babies have an adult-like perfect color vision by the end of the ninth month, and it refines by the end of the first year. High contrast colors will capture his attention more than anything. Your baby’s eyes are capable of seeing properly at birth, but his brain is not yet ready to process and interpret such complex information. Babies can see color at birth but it is very rudimentary, and the capability to process different shades of a color is limited. Your baby will see things in full color vision through a gradual development of the eye. Let’s see this step-by-step development of your baby’s vision through the course of the first 12 months of his life. The primitive eye: Your baby’s eyes start as two small grooves on the developing embryo from day 22 of your pregnancy. This is the precursor organ for the formation of the optic nerve and subsequently the eye. A check for congenital eye disorders: The moment your baby is born, the doctor checks for any congenital eye disorders, which are defects that occur in the womb. The doctor may administer some eye drops to inhibit the development of any eye infection. How newborns see: At birth, your baby can view objects only in shades of gray, and black and white. This is because the nerve cells in the brain and the eye are yet to develop completely. Limited lens focus: He will not be able to move his eyes between two target objects and can focus on objects that lie between 8-10 inches of his face. Refractive errors: Your newborn baby will have natural refractive errors in his eyes. These are errors for which adults wear glasses. But in babies, this is no cause for worry since the errors happen due to a developing retina, and will diminish as they grow. You will also notice that he responds to bright light by blinking or closing them. What colors do babies see first? Your baby can see all colors at birth, but it is not known, which colors he can see clearer than the rest. Studies have shown that babies can differentiate between primary colors such as red, blue and green. Some babies may also show preference or an attraction to a particular primary color. However, he still cannot differentiate between similar looking colors such as red and orange. This means he can interpret a color but can’t differentiate between the various shades (light green and very light green). May give blank expressions: An enticement towards high contrast colors means that he will look straight into your eyes, but his brain cannot process visual data completely. Therefore, do not fret if he gives a blank expression if you smile or wink at him. Dilated pupils: Your baby’s pupils are constricted for the first two weeks to restrict the entry of light since the retina is still sensitive. It is only after the third week that his pupils begin to dilate to let more light in. Weeks after his birth, you will notice that he opens his eyes for more definite time intervals. Foggy vision: For the first one month, your newborn’s vision will be like seeing through a dense fog. Objects will have to be big, bold and colorful to elicit a response from him. His vision will still be fuzzy. Vision-hearing coordination develops: By the end of the first month, he will have decent vision-hearing coordination. This means if you play a rattle in front of him (at a distance of 8-10 inches), he will respond by looking at it. Peripheral vision develops: He will have good peripheral vision and will briefly be able to focus on an object three feet away. Learning to focus: Your baby’s eyes will appear to wander independently, and he may appear cross-eyed. This is normal since he is still learning to focus on objects. Color clarity: By the end of the second month, he will be able to discern between shades of color. He will show preference towards brighter shades of colors. That’s why baby toys are so vividly colorful. Mommy is smiling! : He can now interpret a smile on a parent’s face. At two months, your infant will respond to your smile with an adorable smile. This is an indicator that your newborn’s eyesight can focus on specific objects in the environment. Improved depth perception: During this period, your baby’s depth perception will improve, which means he will be able to judge how far an object is from him. This is also due to better overall coordination between the eyes and brain. Tracking objects: He can now track moving objects better. If something changes position in his field of vision, he will move his eyes to look at it. He will keenly watch any activity around him. Move a rattle in his field of vision, and he will gaze along the moving rattle. This skill is known as tracking. More colors! The number of colors in your baby’s vision palette has now increased. I see you there! By the end of the fourth month, he develops a better view of distant objects. Now when he sits in front of the window, he sees through the glass pane rather than focus on the glass. 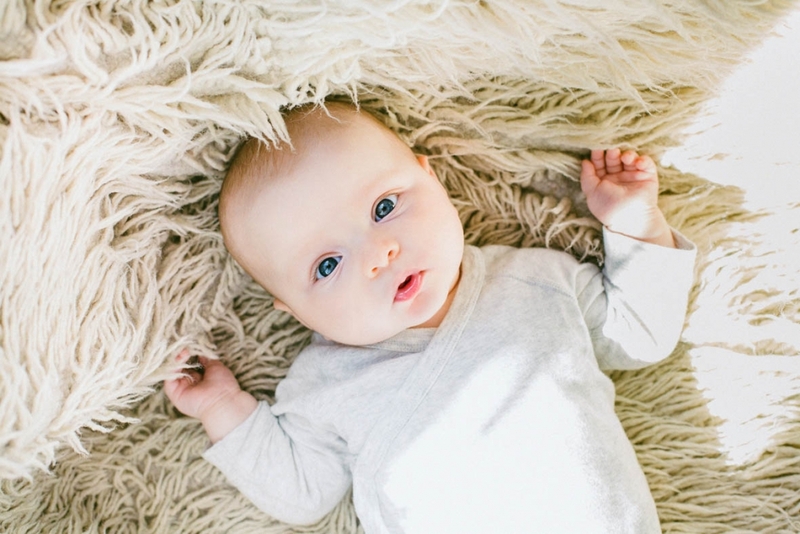 The colorful world: By the fifth month, your baby’s color vision is robust. Remembers faces: Depth perception and object familiarity improve. He instantaneously recognizes familiar faces and objects lying even six feet away. Object permanence: His vision is now slowly transitioning to that of an adult. He views smaller details and understands the coherent permanence of objects. This means if you hide a toy under a blanket right in front of him, he will know that the toy exists right there. Now I see better: This is the time when your baby finally sees the way an adult sees. There is now fully developed color vision, and depth perception is much better. Eye color permanence: Your baby’s eye color is almost close to the final color that his eyes will have for the rest of his life. Can tell near-far objects: By the time he completes a year in his life, your baby has an adult vision – he can differentiate between near and far, tells colors apart, sees an object at a distance, and recognizes familiar faces and objects. Eye-muscle coordination: He will have better coordination between his muscles and vision. Since his muscles are still developing, he may appear clumsy in his movement, but his vision per se would be developed. A regular eye checkup is always recommended for the general well-being of your little one. But there are some red flags that you must be on the lookout. Red or swollen eyelids: This could indicate an infection or allergy. Excessive eye turning: The ocular or eye muscles are still developing. Therefore, the baby’s eyes may appear to move independently. But if the movement is constant and too extreme then it could indicate a problem. Too sensitive to light: If your baby shuts his eyes whenever he is stepping out in the sun then he may have a pressure problem in the eye or an issue with the retinal cells. Excessive tearing: The tear glands in babies are still developing. Therefore, they may suffer from conditions like excessive tearing or blockage. Appearance of a white pupil: This could mean anything from cancer to cataract, so it is something that requires prompt medical attention. There are some conditions that are hard to interpret, and you may want to consult a medical professional. When Should I Take My Baby For Eye Checkup? Cataracts: The eye lens of newborns is clear like that of adults. But in some rare cases, the baby may be born with cloudiness in his lens, which is referred as cataract. A cataract is usually spotted immediately after birth or a few weeks after a medical checkup by a pediatrician. Cataracts can be rectified with surgery quite similar to the one done for adults. Blocked tear ducts: Sometimes a baby can be born with a blocked tear duct that can cause swelling and redness around the lower or upper eyelid. Infants have an underdeveloped immune system, and an inflamed tear duct can become a breeding ground for bacteria. Prompt antibiotic intervention can avoid the risk of the baby losing his vision. Amblyopia: This is also referred to as lazy eye syndrome. In this condition, the baby loses vision in one eye due to lack of use. The condition is caused due to numerous reasons from basic lack of brain-eye coordination to a crossed eye. Amblyopia can be tough to detect since both the eyes look perfectly healthy and normal. A regular checkup with an ophthalmologist should help in detecting the condition early. Strabismus: In the first four months, your baby’s eyes appear to move independently, without coordination. From the fifth month, the ocular muscles develop coordination. In case your baby shows chronic eye misalignment even in the sixth month then it could be a sign of strabismus, commonly called a crossed eye or squint. Strabismus can be detected during regular eye checkup but if you feel something amiss with his eyes, take him to an eye doctor immediately. Retinopathy: Retinopathy is the damage to the retina when the baby is born prematurely. It occurs as the blood vessels in the retina are not formed completely or have abnormal development. Retinopathy in babies can be easily detected by a doctor during an ophthalmic examination. Ptosis: The eyelids are held in place by muscles. In some cases, a baby may be born with an underdeveloped eyelid muscle that will cause the eyelid to droop involuntarily. This condition is referred as Ptosis. Ptosis itself may not be a threat but it can lead to Amblyopia, which in turn can cause vision loss in the eye with the droopy eyelid. Thankfully, Ptosis can be easily spotted and a corrective surgery can fix it. How To Help Your Baby’s Vision Development? You may take the following steps to support your baby’s eye development. Use high contrast pattern toys and place them about 10 inches away from the baby when he is playing. Use dim artificial lighting in the baby’s room. Sharp lights would disturb him. Young babies usually see their mother’s face while breastfeeding, so keep alternating the sides while feeding so that he gets to see you from both the eyes. When he is a month-and-a-half old, play a simple stare game. Hold your baby seven inches away and look into his eyes. Once he sees straight in your eyes, move slowly from side to side. He should follow you with his gaze. This makes a great eye exercise for your baby. By the time he is two months old, he will smile and respond to your facial expressions. Make it a point to look straight in his eyes and smile or talk. This will help improve his focus and visual attention. Your baby’s color vision develops during this period. Introduce him to colorful objects and toys that are painted in vivid colors. 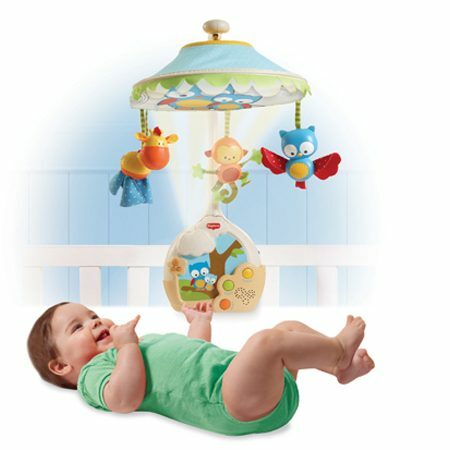 A baby gym is a great place for him to exercise his eye control. 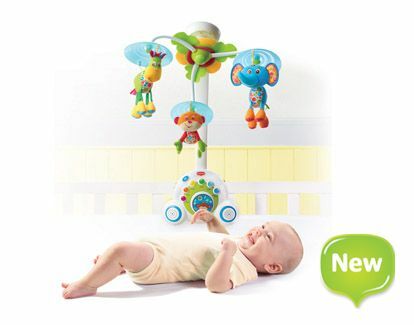 You can place different types of dangling toys and let him look and touch them all while lying on his back. Give him colored blocks to play. Bring him a basket of fruits and let him see all the vibrant natural colors. Play hidden objects game, and games like hide and seek. You can also play mini treasure hunt games, which will stimulate him to respond to a visual stimulus. Toys with bright colors and high contrast patterns will still be his favorites. Therefore, introduce him to patterns that will entice and hold his visual attention. Include moving object games in his play time. Play simple games with a throw ball and toys attached to the string. Have story time sessions where you open a brightly colored and illustrated book in front of him and read through it. Encourage him to point toward the drawing, and prompt him to say its name. Babies love human faces, so have as much family bonding as you can. It is a great way to stimulate his ability to learn and recall new faces. Premature babies have critically underdeveloped organs, including eyes. This puts them at a higher risk of complications when it comes to visual development. Premature or preterm babies have closed eyelids, which open momentarily. They cannot see properly and have a slower rate of eye growth than babies born after regular term. Through care and medication, their vision development can be aligned with that of regular babies. Premature babies run the risk of developing a condition called retinopathy of prematurity. It leads to the damage of the retina that can be permanent. What escalates the risk in premature babies, apart from underdeveloped eyes, is the excess use of oxygen due to poorly developed lungs that are not yet capable of separating oxygen from the air. Excess oxygen interferes with the development of the blood vessels that supply blood to the retina (8). This may, actually, lead to lower oxygen supply to retinal cells causing severe damage. Retinopathy of prematurity can be treated during the general course of care and nursing of a premature baby. Eyes are crucial yet delicate part of your baby’s body. You need to take care of them right from his infanthood, so as to avoid any problems in the future. Keep track of the development of his eyes, and if you find any anomalies, take him to a doctor immediately. The earlier you respond, the better it is for your baby.